Plan B Toys Ltd. is the collaboration of two brothers that have a goal to take action figures back to their roots, back to a time when toys did more than just sit on a shelf. The toys of those days represented our best friends, greatest heroes, and even our vile villains. They were based upon a concept all their own. Plan B Toys has established their name in the toy industry, with the hard work and effort of the brothers Borman. Jay and Chris are former employees of ReSaurus Company and have been action figure fanatics all their lives. Plan B was formed to freely create new ideas and properties without corporate boundaries. This year, Plan B will be releasing more military focused products. 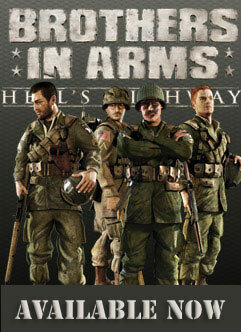 The new products are in development and will include the long awaited WWII Mission II figures and an 1943 MB vehicle. Also availble in 2008 will be a deluxe box set featuring a local WWII veteran, Dante Toneguzzo. The Toneguzzo figure include the all new fully functioning, historically accurate T-5 parachute. All of these figures will be available before the end of 2008! Plan B Toys, Ltd. has operated for the past few years as a development house. During that time, Plan B has developed product for a variety of toy manufacturers, including ReSaurus, Mezco, Palisades, WizKids, Diamond Comics, Parent Banc, and Cartoon Books. Plan B has been involved with the development of product for many successful licenses including Family Guy, Shadowrun, Muppets, Street Fighter, Resident Evil, Mage Knight, Crash Bandicoot, Sonic the Hedgehog, Star Wars and many others. © Copyright 2006 - Plan B Toys - All Rights Reserved.